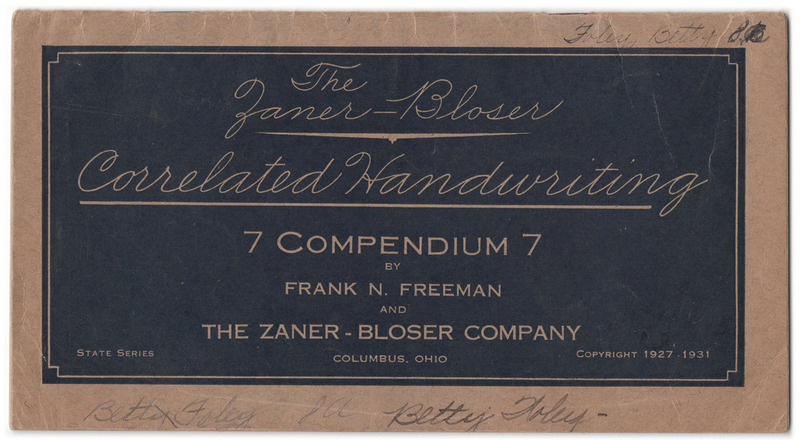 Frank Nugent Freeman is an name that we learned about only after discovering this booklet composed by him and published by Zaner-Bloser. These 28 pages are designed as an exercise manual for 7th grade students to evaluate their penmanship and establish progress-oriented study habits. There’s a bit of information regarding tests that are used to diagnose individual problems and areas-of-interest in a student’s handwriting. The material helps to establish some example of exercises that might be useful for common problems, but should be seen more as an overview for the approach towards critical analysis and intelligent practice. Please remember that while this booklet is within the public domain, it is the product of years dedicated to the art of penmanship by Frank N. Freeman. It is our privilege to have such samples to study, and the materials within should be used respectfully.